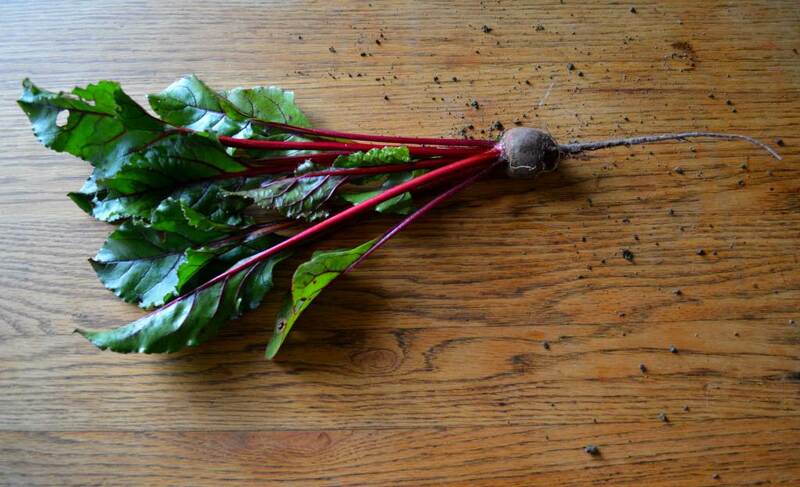 The first time I had beets was at a friend’s house when I was four. My friend and I left the two slices of canned beets on our plates. However, when we were told we’d get potato chips (something I never got at home) if we ate our beets, I reluctantly ate them up. They weren’t so bad. 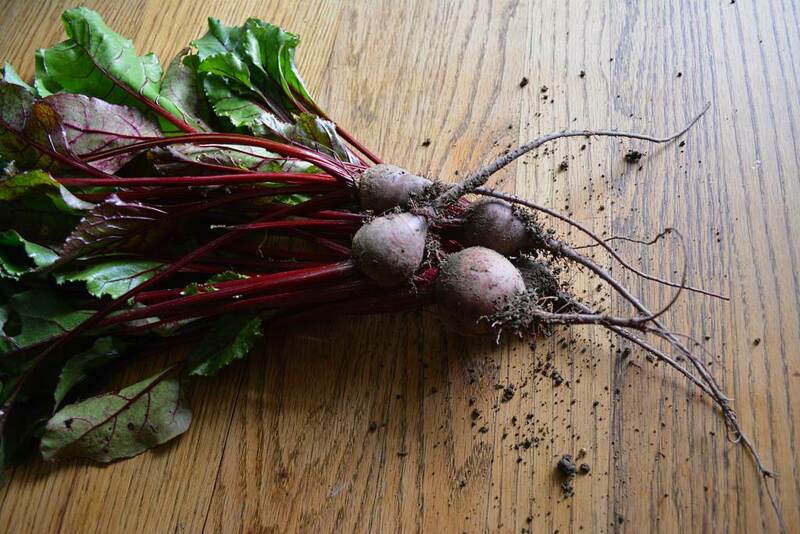 Since then my relationship with beets has developed into a full blown romance. I can’t get enough. Beet hummus is my latest addiction. 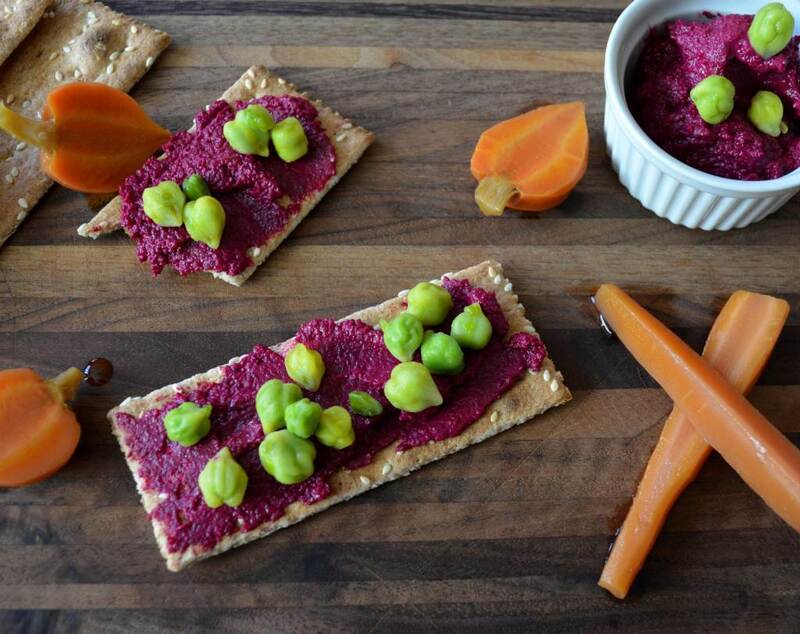 Like traditional hummus it is made with chickpeas (also known as garbanzo beans), tahini, garlic and lemon juice, but the addition of beets not only makes it a swoon worthy color, it also makes a lighter, fruitier, slightly sweet spread. The sweetness comes from the beets, but also from pomegranate molasses. You can find it in upscale markets, and online, but you can also make your own by reducing pomegranate juice to a syrup. 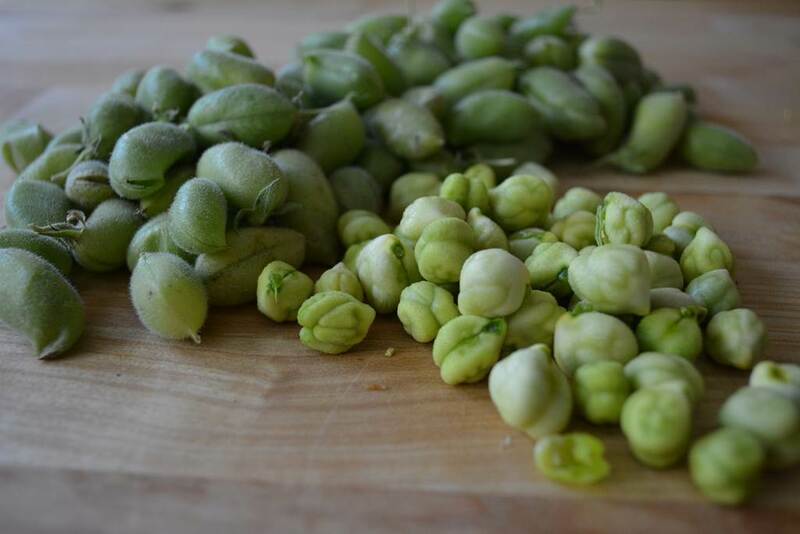 If you are lucky enough to have fresh garbanzo beans at your market, I would use those. Unfortunately, they have a short growing season and are somewhat hard to find. While a bit tedious to shell, they cook up in minutes, are tender, full of flavor and a lovely vibrant green. That said, cooked dried or canned chickpeas are excellent alternatives. It’s the beets that are most important. We live half-time in Bandon by the Sea, a small coastal town in Oregon. When we first moved here we were in despair over the lack of good produce, but that was because we weren’t looking in the right places. 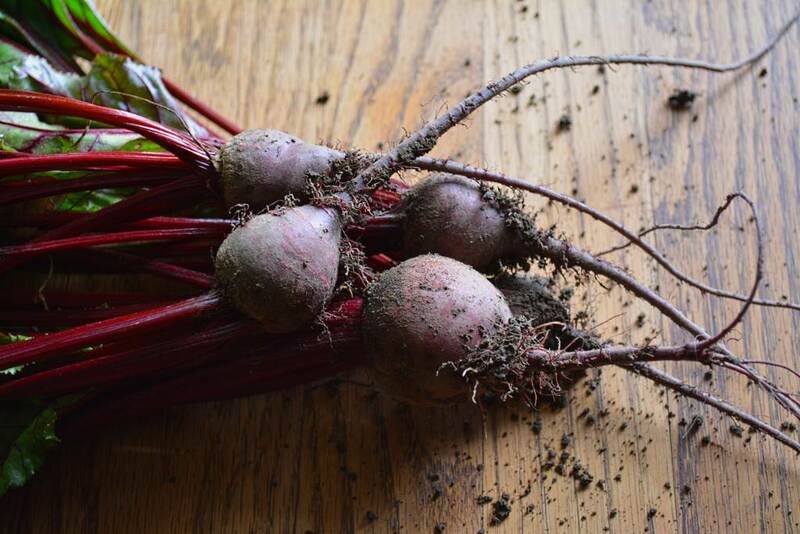 It turns out we are very close to a breathtakingly beautiful, small farm, run by a “mother-and two-daughter trio.” I knew they would have the best beets around. Zoe, one of the trio, generously allowed me to buy beets during off hours (although we later agreed to a trade—beets for hummus). When I arrived at the farm she was running an irrigation line with her baby strapped to her back. She pulled beets from the ground while I waited. It is tempting to go on about how bucolic this scene was, but I also know it is a lot of work. If you live near, or are passing through, Langlois, OR, treat yourself to a trip to the Valley Flora Farm. 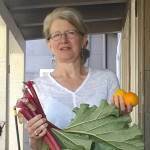 I can’t think of many more important things than supporting small local farms—wherever you may live. Once you’ve made your hummus, you’ll want it on just about everything. It is wonderful spread on crackers, pita, and Brown Butter and Chive Corn Sticks. It is a good dip for fresh, cooked or pickled vegetables. I like it on “almost” hard boiled eggs with a sprinkling of za’tar. Recently I’ve added a spoonful to my vinaigrette. And don’t forget the beet greens! Sautéed beet greens with a dollop of warm beet hummus on top—that’s a perfect meal. Beets ready to roast. 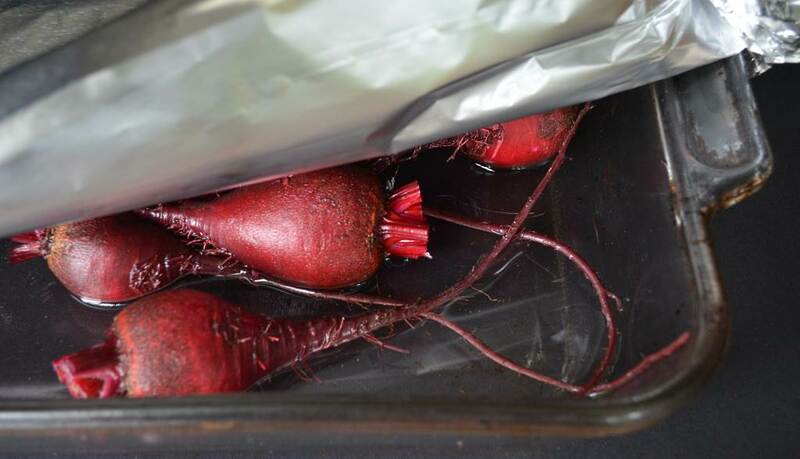 Put about a half inch of water into a roasting pan, add the trimmed beets, cover tightly with foil. Roast in the oven at 400 degrees F. until tender. 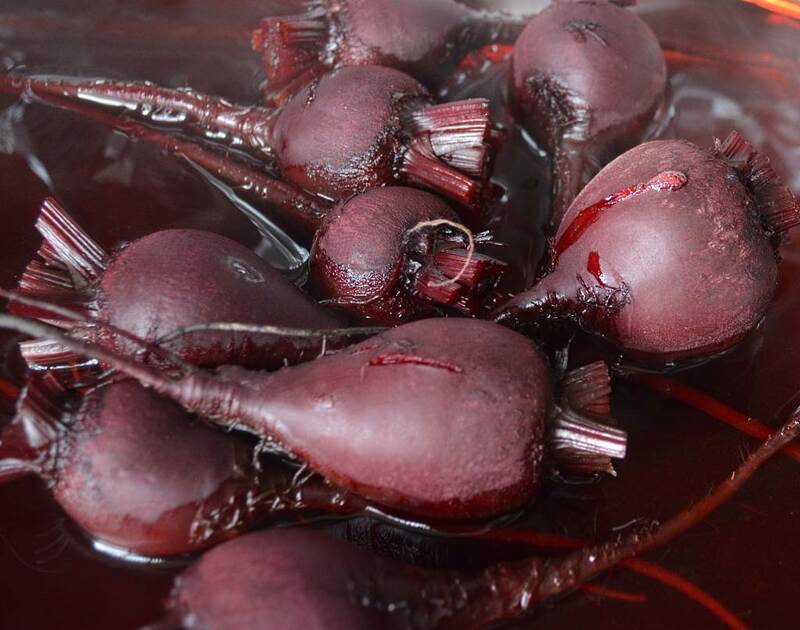 Insert the tip of a sharp knife into the beets. The knife should pierce the cooked beet easily. When done, cut the tops and tails from the beets, and then gently rub or scrape the peel off. The skin will come off easily. Process all of the ingredients together in a food processor, or blender, until smooth. Taste and add more salt, lemon juice, or smoked paprika if desired. 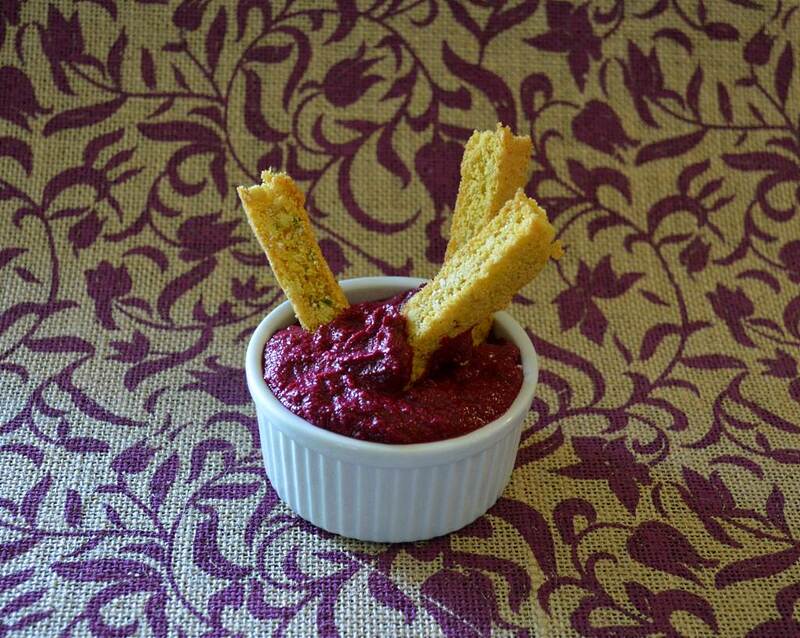 Beet hummus can be stored in the refrigerator for up to 1 week. Cook time depends on whether or not you use canned beets and chickpeas, or fresh. Cooking dried chickpeas takes much longer than cooking fresh. The above times are approximate times for cooking fresh beets and dried chickpeas. It is best to soak the dried chickpeas overnight--that time is not calculated here.The bulk of the time is passive cooking time, requiring little attention. 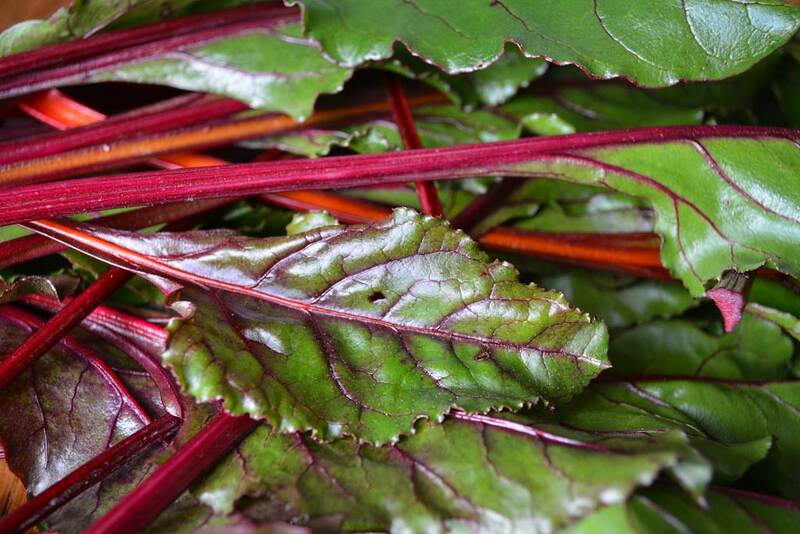 Don’t throw away the beet greens. Saute them with onions, then top with beet hummus and a sprinkling of za’atar. Thanks for this recipe, Sasha. 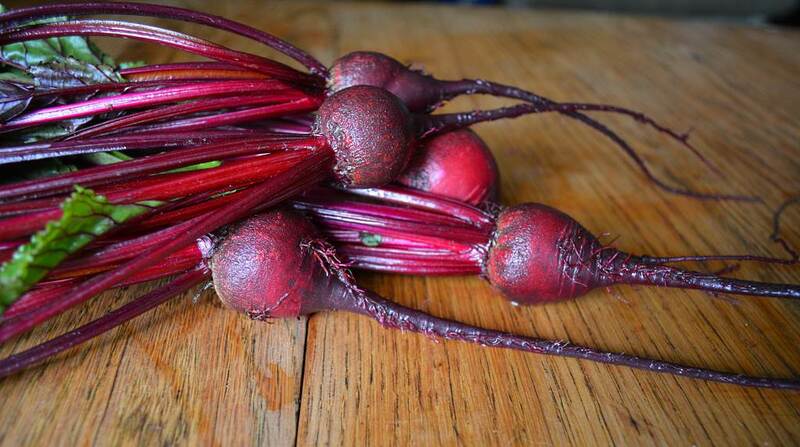 I love beets and this looks like a tasty take on a favorite snack! Your description of the farm in Oregon sounds so peaceful and sensuous that I just want to hang out there and soak up the vibes. Cathie, you would love the farm! If you and Rick ever visit, I’ll take you there! omg. This is crazy good. I’m going to pretend I didn’t make it so I don’t have to share it with my family. It’s going to be my secret stash. I’ll put it in an ugly container so they won’t suspect anything. THANK YOU for this recipe, Sasha! So happy you like it! It’s my new favorite food. Secret stash is a good idea.